This Silence & Noise Wool Band Jacket is $98 at urbanoutfitters.com. Looking for a less expensive alternative? 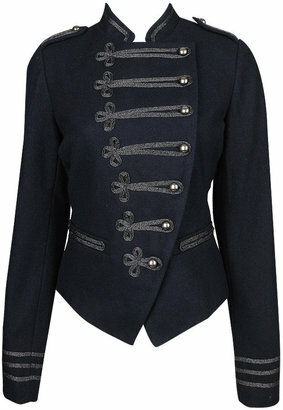 Try Forever 21's Military Patrol Jacket for $37.80. Click any image to purchase.